The BCB Water Bottle and Mug is a NATO issued water bottle and mug set. Black plastic 1L capacity bottle, and 0.5L(1pint) capacity mug. 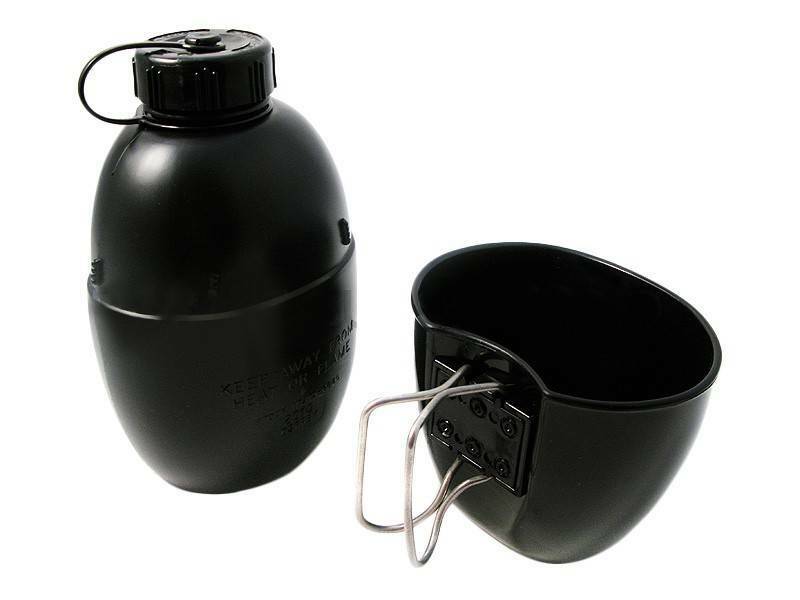 The plastic mug can be replaced with the Crusader Cup Canteen if desired for cooking.